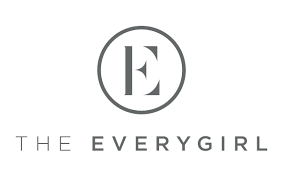 For the past month I have been doing a lot of introspection and reflection on intention, goals, and “resolutions” (which I’m not quite fond of, as mentioned in my recent Everygirl column, Ditching Tradtional New Years Resolutions). And my conclusion has been that in the world we live in, especially around New Years, there is a lot of focus on penny collecting. When it comes to setting goals, creating visions, and generally becoming more awesome, we often meditate on the shiny pennies of the world. I should know, I’ve been a penny collector myself. 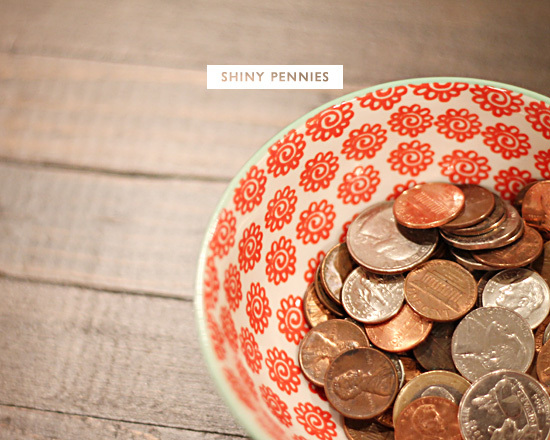 The truth is that penny collecting has also been a significant part of my intentional path for the past seven years as well. In my past Future Letters I included my goal weight and income. I discussed possessions I’d like to acquire, features I’d like to land, and vacations I’d like to take. Which is not “bad.” Those things are all well and good. But the problem came when I then allowed those elements of my life to direct my actions, internal motivations, and self-assessment. But by driving my business and life by these external goals, I allowed peace and joy to take the back seat. By valuing pennies over the present moment and being of service, I felt a lingering sense of lack in almost all areas of my life. After all, I was being motivated to succeed in order to “achieve” the things that I didn’t have yet. So that’s where my mind dwelt, in the Land of Not-Quite-There-Yet. However, 2012 was a fascinating year for me. I actually acquired almost all of my penny goals. I had a banner year in income. I was within two pounds of my goal weight – without dieting or “trying.” I had a fairytale wedding in Paris. I got the cutest little Westie puppy that I’ve ever seen. I got a whole new wardrobe. I got to transition from a career to pre-retirement doing my purpose. Yet the power of a little pill was able to render all that shiny-ness useless. I was more miserable in the past three months than in almost any other time in my intentional journey. It was an eye-opening experience to see how little external reality could affect my internal state of well-being firsthand on such an extreme scale. So going into 2013 I want to dramatically shift away from the penny focus to that of true wealth. Peace, joy, and service now grace my Future Letter more prominently than pennies. Rather than track my income as an indicator of my career success, I am tracking the number of people I serve each day. No longer is a dollar figure going to influence my career and emotional state day-to-day. Sure, I still have significant financial obligations, but now my metric of true success is the number of people I help each day in workshops, consulting, on the blog, and in life. Though I realize that even measuring the number of people I help each day is essentially another masked form of penny collecting, I know that step by step, I need to train myself not to overvalue outward fame, income, or honors. Already with this focus on service the past few days I’ve felt internally rich. I’m not forcing anything. I’m not seeking. While I’m sure new pennies will come my way in their own due time, my focus is on service and connection. Which is really what I’ve been seeking all along.